This is a sponsored post, but all opinions are completely my own. We live in a generation filled with people who don't want to or feel too uncomfortable to get to know each other on a deeper level. I definitely feel that way around some people as well. I just want to have closer friendships with people! That is when I discovered the app, Frankly! 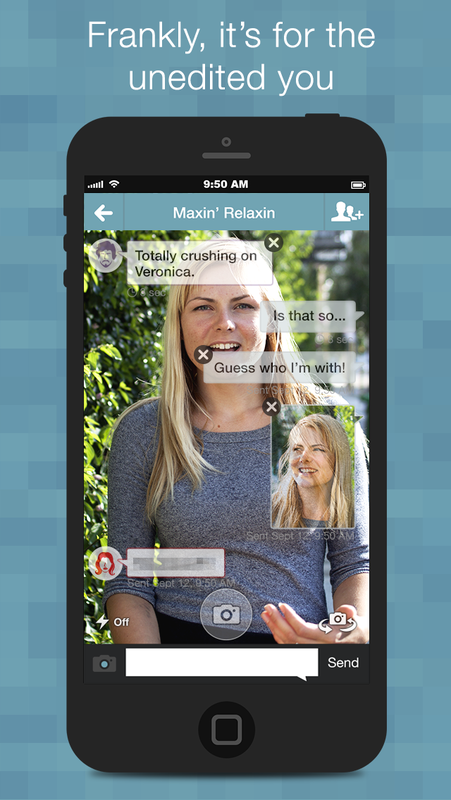 If you have ever used SnapChat, it is similar to that, except you can have text conversations too. It is a lot more than that, but that is the gist of it. It is free at the app store for iPhones and Androids. Disappearing Messages. When you send a message, it is blurred until the person presses on the message. Afterward you are given a few seconds to read it before it disappears. 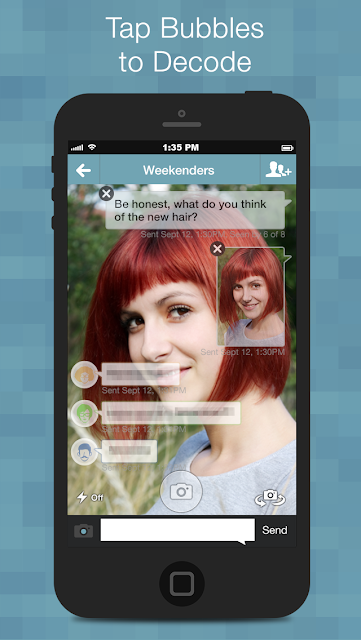 This gives an opportunity for complete honesty and you don't have to worry about people reading your messages! 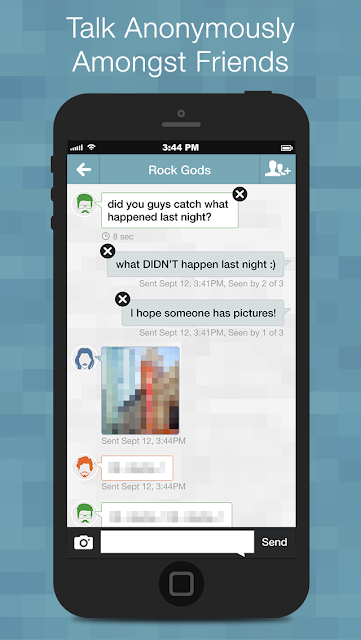 Delete Messages Sent on Accident. Have you ever sent that text that you immediately regretted after sending it? 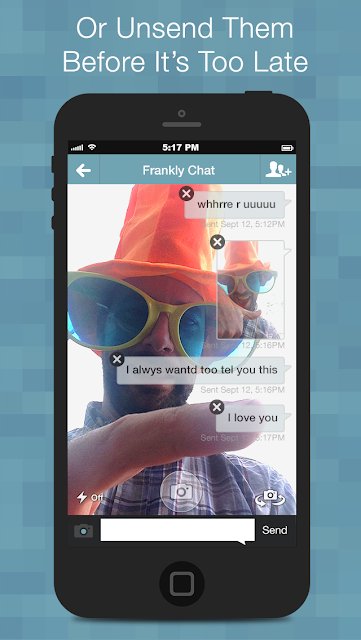 Well, Frankly offers the option of deleting your message before someone reads it. It's really convenient! Anonymous Group Messages. When in a group message, it is completely anonymous! It allows everyone to talk comfortably with each other because no one knows who said what. It's confusing but it's fun. The app is a lot nicer than what I expected, and I like it. My only trouble that I ran into with it was finding and adding friends. It allows the option to invite and add friends from your phone book, but you aren't allowed to search for friends' usernames. Other than that, I'd really love to see this app become a thing! Do you like what you're reading? Download it! Still not convinced? Still download it and see for yourself! DO IT. 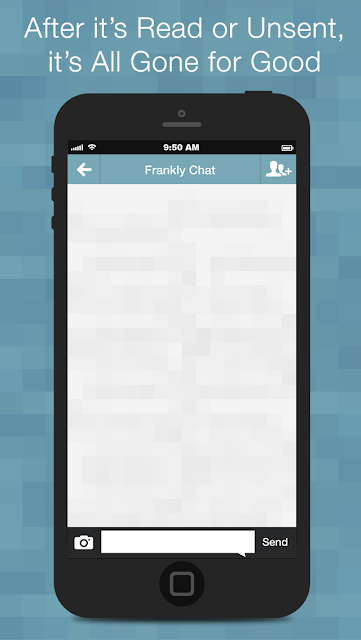 Download Frankly here.